I know you’ve seen cake pops. They are all over the place, and I think they are just adorable, but… I’m not a cake person (unless you are talking cheesecake, then I’m all over it!). If you give me brownies or cookies, I could eat them all day long (no, really… *ahem*…:D). Anyhoo, when Emily said she wanted to do Oreo pops, I was doing the happy dance (inside, that is). They come together really fast with 3 ingredients (4 if you count sprinkles). To print this recipe, click Oreo Pops. 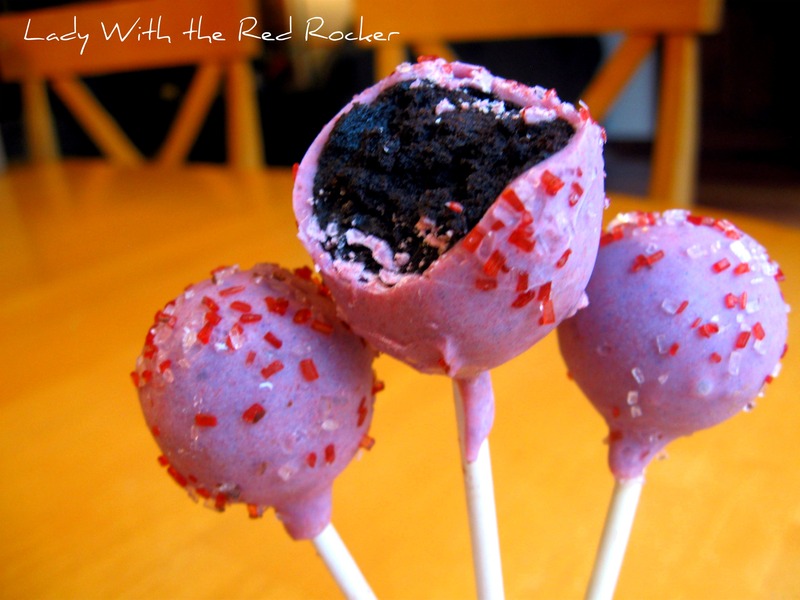 We make Oreo balls for Christmas every year, but I have to say, the Oreo pops “take the cake” (nice… I know…)! They were so much easier to make than regular Oreo balls because they were easier to dip into the chocolate (because of the sticks, of course). I use this recipe from Allrecipes.com, and I thought it was pretty good (although the kids picked off the icing and just ate the Oreo filling. ;)). Mix everything together with mixer on medium-high until smooth. Decorate as desired. To print this recipe click Decorator Frosting. Overall, Emily had a great B-day, and the Oreo pops were a great hit. 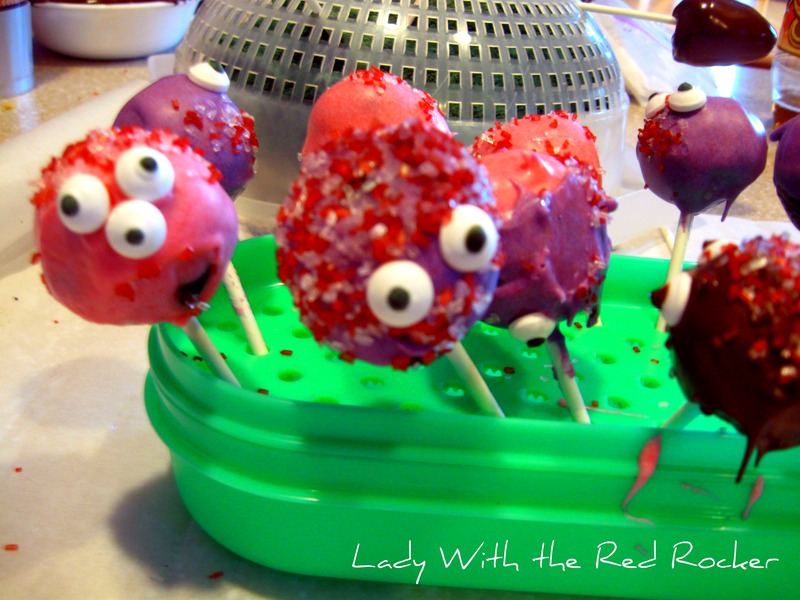 I have been wanting to make some cake pops, and these are soo cute! Thanks for sharing! We are having a Christmas Party so the trees are PERFECT. The idea of using a strainer to hold them is genius! =) Stopping by from Fingerprints on the Fridge! This is so perfect for any party. Thanks for sharing. They look delicious. Come visit us. 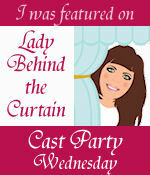 We have a beautiful party dress from The Shabby Apple today for our giveaway. We would love for you to be the winner! These look fabulous – tried this once and never again!! I admire anyone that can master these and you certainly have! Oreo truffles are so yummy! I love the way the Christmas tree turned out. I totally pinned these. I’ve made Oreo balls before but mine were just cream cheese and crushed oreos. These also sound delicious and the trees are so adorable! Too too cute! Bet they’re really tasty too! So glad you shared at Shine On Fridays! Hope to see you again next week! You are seriously my new BFF! 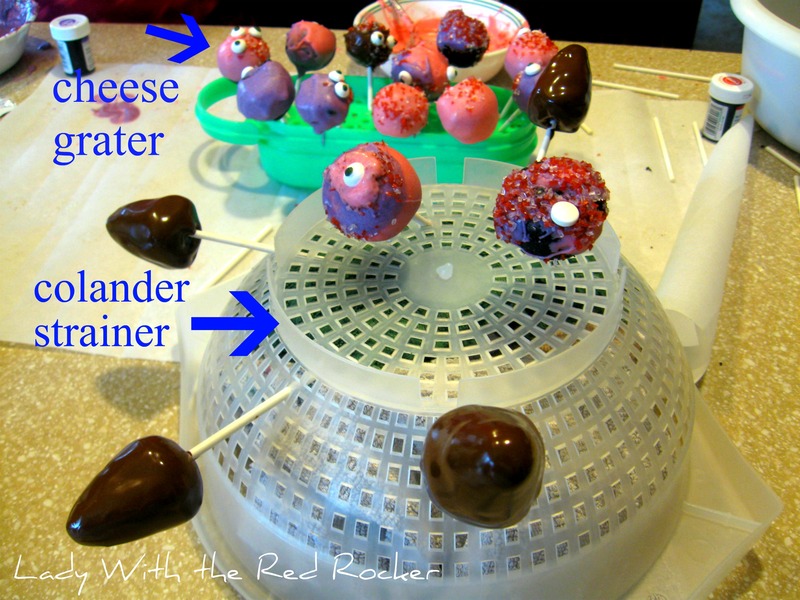 I love making cake pops…but never have been able to find the right thing to let them “dry” on….and I don’t like buying new styrofoam all the time….love that strainer!!! Would you please share this with our readers for Fun Stuff Fridays? Love your Christmas tree pops! You really had me sold with ‘cake pops’ but these are the cutest that I’ve seen! Thank-you so much for adding to our Pin’Inspiration Party this week. 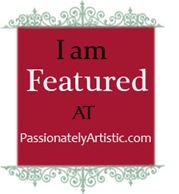 Happy reader and would love if you stopped by and grabbed a button. 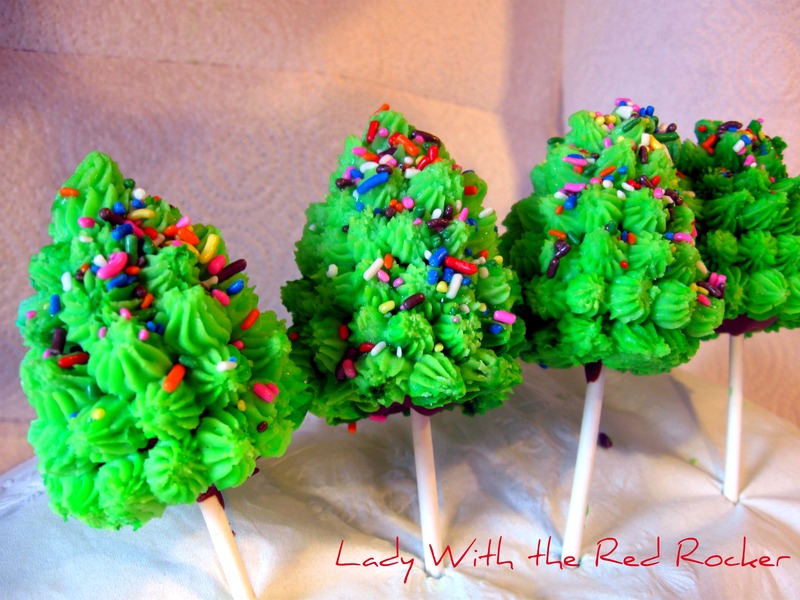 I love your Christmas tree pops… and they would make a great addition to our party! 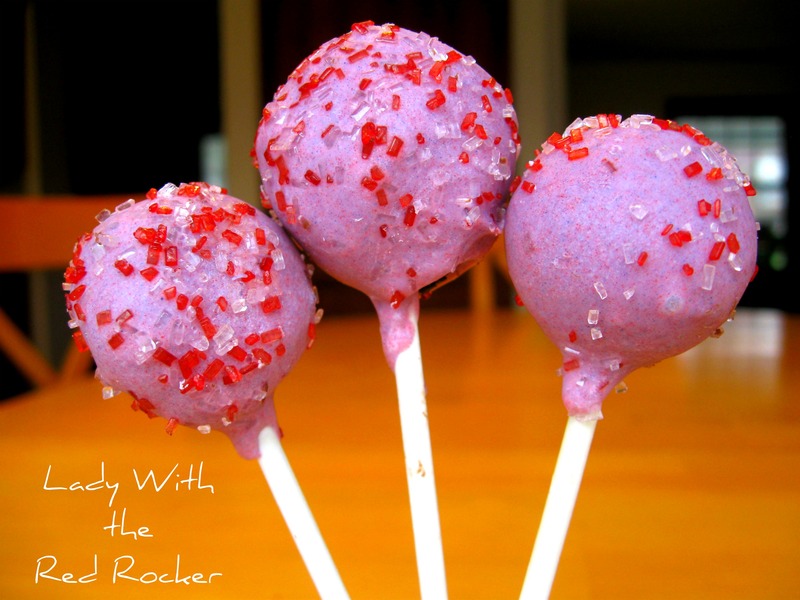 We are having hosting 12 days of Christmas Goodies, and today is CAKE BALLS or CAKE POP recipes! 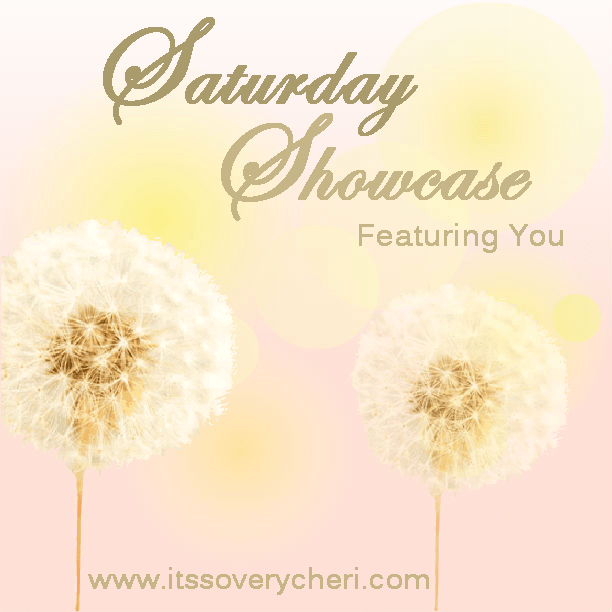 We would love for you to come by and link-this up! Awesome post and idea! 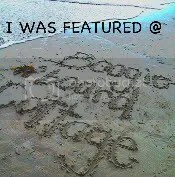 Thanks for linking to Things I’ve Done Thursday! 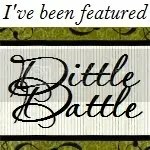 Thanks for linking up to Motivate me Monday, you were featured today! So cute and delicious! 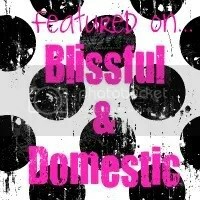 Thanks for linking them up at Sweet Temptations! Well you know I am biased about cake balls, but oreo pops are way faster to make! So cute and yummy looking! 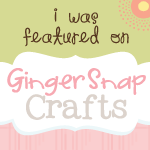 I’ve featured them over at this week’s Craftastic Monday – stop by & grab a Featured On button. Thanks for linking up! Yum…oreos and cream cheese…that’s all you need to say! 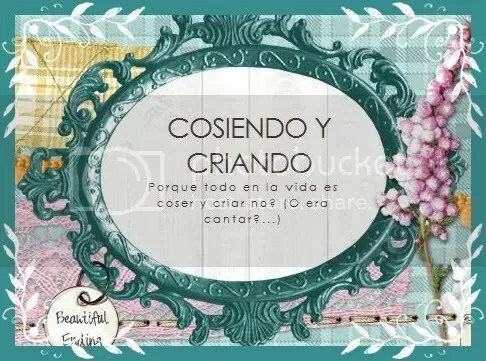 🙂 Thanks for sharing! These pops look and sound amazing. I would love it if you came to link to my holiday recipe swap blog hop. It is my first ever! Love these recipes. Omg… You are a genius! These look so yummy, and love the idea! I found them on Tip Junkie tonight! Thanks for sharing! Mmm, oreo pops are the best. What a great idea to put them in a strainer! I’ll have to try that..then maybe mine will actually be round 🙂 Thank you!! !